immune system issues in cats Archives - Purrrfectly Holistic...a Boutique for Cats! Purrrfectly Holistic…a Boutique for Cats! Do you have the same love for our furry friends and want to contribute to our mission of treating pets with love, care, and holistic approaches? We invite you to click on the donate button below to make a donation. With gratitude, we say "thank you!" 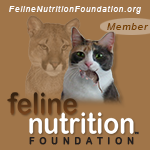 We're proud to be a partner of the Feline Nutrition Foundation. Click here for more information. I had a cat mom named Mandy reach out to me this week with a question concerning a rodent ulcer her kitten has developed. Up until a year ago I had never heard of such a thing. However, when one of my clients developed one I had to start researching. A friend of mine contacted me this week to introduce me to her rescue cat, Liz Taylor. She’s a Bengal mix, born with a hip problem believed to be due to breeding, and she’s got the feline herpes virus 1. With health challenges like these it’s not surprising to learn that Liz is a bit shy and probably a little moody. After all, when you don’t feel good…well, we’ve all been there. I offered to do some muscle testing of her diet, and you’ll be blown away by the results! Copyright © Purrrfectly Holistic, LLC. All Rights reserved. 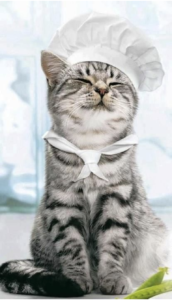 your very own feline nutrition guide!